We can provide a Certificate of Authenticity with each piece of jewelry that you purchase from us if this is desired... please note this in the comments field of the checkout and is available for a fee of $20.00 which will be added to your bill. 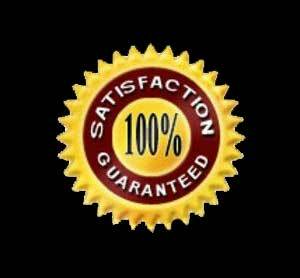 Your purchase is 100 % Satisfaction Guaranteed. The vast majority of our customers love our jewelry and rarely does anyone ever return what they have bought. When this happens it is usually due to size rather as opposed to quality. We try our best to capture the essence of each piece in our pictures; however, you will find the quality and beauty so much better in person. We do not warrantee jewelry that is not made by the Hartmans. You must contact the artist. We do not guarantee inlay jewelry for daily wear. Inlay jewelry is fragile and cannot be worn in water, everyday, or in harsh conditions. All jewelry should be taken care of as PRECIOUS ART, not as clothing. The better you take care of your jewelry, the longer it will last you. We do warranty our bezel set, prong set and inlay jewelry made by the Hartmans for faulty craftsmanship up to 3 months after the purchase. We will examine each piece with magnifiers. If it is our fault it is free, if we see gauges, scrapes, dings, or obvious negligence on your part, we have to charge for the repair. We accept Visa, MasterCard, American Express, Discover, PayPal, money orders and checks. You may use your credit card safely through our secure server. You may also pay through an e-mail or we can take your information over the phone Mon.-Sat. 10am-4pm Mtn Time. If paying by check or money order please select items and the select payment option of Paying by Check/Money order at checkout or use the printable order form and enclose it with your form of payment. Please enclose all contact information. Also, please email us and inform us that you are paying by check or money order if using the printable order form so we can remove this item from the website. Payment must be received within ten days. Most items will ship within 48 hours except for checks which are usually shipped within 5 to 10 days of receipt. All online orders we try to ship within 24-48 hours, same day in most cases, unless otherwise noted on website. Telephone orders please expect next day shipping. We ship via U.S. Priority Mail with insurance in the continental. All orders are gauranteed to ship within 2 business days. We ship the same day or the next day. We are not the shipping company so we cannot gaurantee exact shipping times or tracking information. 2.9% Sales tax must be collected from Colorado residents. In that rare instance that someone needs to return something we would prefer to work with you on an exchange or in-store credit. By using the exchange program or an in-store credit you can avoid a re-stocking fee. If you exchange a purchase or trade the item for in-store credit will will pay the credit card fees for your purchase and the return of your money to your account, this amounts to 5% of the sale. If this does not work for you, we ask that you return the item within 10 days of receipt and in original condition. WE REQUIRE YOU TO CONTACT VIA EMAIL BEFORE RETURNING AN ITEM. We also REQUIRE that you provide a good reason as to why you are returning the item. If you provide a proper reason for your return within the 10 days after reciept of purchase, you will receive a 100 % refund of the price of the item NOT the shipping, minus a 5% re-stocking fee to cover our charges incurred by the credit card companies. Items returned and received after day 10 will incur a 15% restock fee. This is due to the fees we are charged as merchants by credit card processing companies and loss of possible sales. For transactions that are not returned to us after 15 days, there is no refund. After this time period there are no returns. If we find that you have worn/used the jewelry before returning the jewelry we will deduct 25% (for our costs for repair/refinishing of the jewelry) of the cost of the jewelry plus the shipping and deduct it from the return. We inspect all returns with a 20X magnifier on return. You can arrange an exchange or in-store credit if you would like to return you purchase and not incure the 5% re-stocking fee. Every Jewelry item comes in a pretty silver colored jewelry box free of charge. Yes, we do layaways. We like to have 1/3 down payment at the time of purchase and paid in three months. If the you are purchasing an item larger than $1,000.00 USD and would like to extend payments out to 4-5 months (maximum) please let us know. WE DO NOT EXCEPT LAYAWAYS OF OVER 5 MONTHS. Once you have engaged in a lay-a-way, you are in a contract with us to purchase the exact item that you have put on lay-a-way. This means we are taking it out of the view of other potential buyers and will not have a chance to sell it. For this reason WE DO NOT GIVE REFUNDS ON UNFINISHED LAY-AWAYS. You are also commited to the exact item that you put on lay-a-way, we will not trade merchandise during the lay-a-way, unless you are will to pay a $20.00 service charge. When making payments you may call in your layaway order or email us that you are sending in payment and we will remove this item so that it does not sell in the meantime. You may also click the PayPal option and it will automatically remove the item and put in the comment field that you will be calling in payment or mailing in payment. Any questions, just email! In order to qualify for a wholesale account, when we offer this service, you need to provide you Business Name, Location, Phone Number and your Business Tax ID. Wholesale customers must make an initial minimum purchase of $20,000.00 Retail ($10,000.00 Wholesale), this must be a multi item purchase, not one large high-end piece purchase. We also require three business references for quality control on our end. We are looking for nice galleries, stores and boutiques to carry our jewelry. We are looking for repeat customer who will be proud to re-sell our product, we are not looking to add to anyone's private collection at half price. Please contact us about a wholesale account, only if you are a serious business owner. Our website is our online catalog. Since most of our jewelry is one-of-a-kind and ever changing. We Do Not have a printed catalog. Ring sizing is usually $20.00. Some rings we can size up 1/2 to a full size, depending on the ring, using a jeweler's ring roller free of charge. Note that some rings due to how they are made cannot be sized. All earrings are pierced unless otherwise noted in the description. We can convert easily any silver earring on a French wire or ball post to a clip-on earring. The cost of the sterling silver converter is $3.00. If the earring is a post earring that you wish to convert, please e-mail us on the possibility of converting it to a clip-on earring. This will depend on the post earring and how it was made and an extra fee may occur. We offer a 3 month workmanship warranty free of charge on items made by the Hartmans. We DO NOT repair items made by other artists. You will need to contact that artist for a repair. We do not warranty old pawn jewelry. You must contact us before sending an item to be repaired. We will examine each piece with magnifiers. If it is our fault it is free, if we see gauges, scrapes, dings, or obvious neglagence on your part, we have to charge for the repair. Items that have been damaged will only be charged actual repair costs from the silversmith and shipping. We prefer to only repair items purchased from us, there are a few exceptions. Your information will never be sold, shared or traded. We value our customers and their privacy. Dillon And Nattarika Collection and any subsideraries of DNC are not liable for any content within or linked to any of our urls. We try very hard to provide 100% accurate descriptions of our products, authentic stories, and pictures. DNC is legally exempt from any claims, arguments, or likeness to anyone, anywhere, or anything that may be close to anyone, anywhere, or anything that you might have, own, known about, or state claim to. DNC provides the historical, factual, opinion related and visual content on this site as a free service to the public and is not liable or legally responsible. We check our facts and history, and try our hardest to make sure we are as humanly accurate as possible. We are glad to recieve your comments, information and/or opinions as long as they are recieved in a friendly, constructive and helpful manor. We do not claim to be experts, museum curators, or professors in any field. DNC is not responsible for missleading information provided to us by any gem dealer, artist, or trader. We sell jewelry and stones as what they are sold to us as. We use our best judgement to purchase from jewelers, gem dealers and traders, who are not always honest, we are NOT liable for their false claims. DNC is not liable for false claims appraisers, experts, other jewelers, or gallery owners make against our products. Please remember these individuals are our competition and commonly try to ruin our business to make their busiPlease appreciate the content we work hard to provide you and make it a friendly and fun experience for you and us.